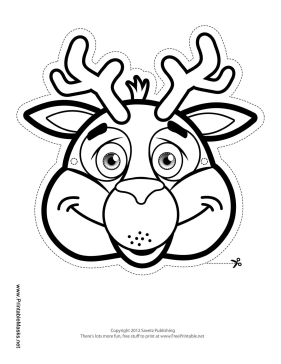 Nature enthusiasts will delight in this color-in deer mask, which includes antlers and a smile. Perfect for elementary school wilderness trips, this mask is a great way to learn about one of the most beloved animals found in the wild. This mask is free to download and print.